The Komen Young Professionals (KYP) is a group of young men and women dedicated to ending breast cancer forever. 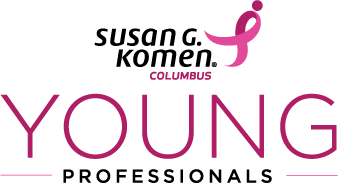 As part of the Susan G. Komen for the Cure Columbus affiliate, our focus is to increase breast cancer awareness and breast health among young men and women. We aim to raise funds in support of breast cancer research, education, screening and treatment services through fun, philanthropic events, which allow members to socialize, network and make a significant impact in the community. Please, check out our upcoming events and submit your information below to get involved.